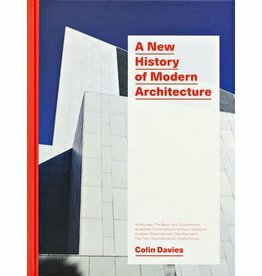 Colin Davies was Professor of Architectural Theory at London Metropolitan University and is the author of several books, including Key Houses of the Twentieth Century and Thinking About Architecture (both Laurence King). He has also written monographs on the work of Michael Hopkins, Nicholas Grimshaw and Norman Foster, and contributes to architectural journals worldwide. This book questions received notions about modern architecture and embraces all of the important architectural movements and influences of the twentieth and twenty-first centuries.